In February, three middle school students helped push a statewide net neutrality bill. Today, Gov. 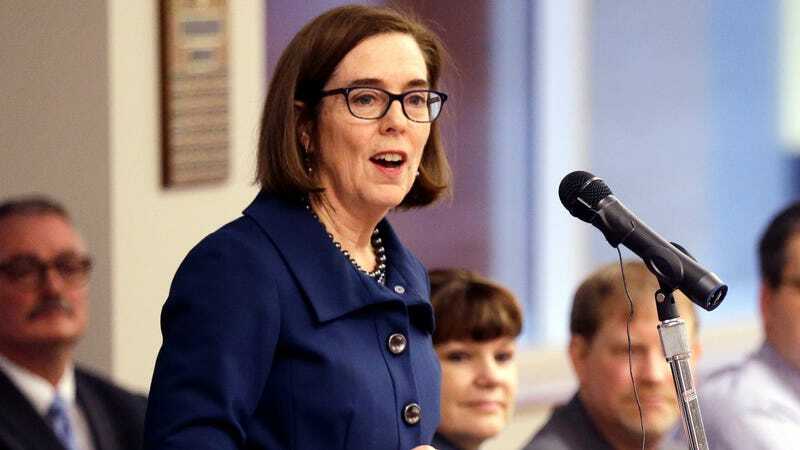 Kate Brown is headed to the girls’ middle school in Portland, where she will sign the bill into law. “It’s an honor for the Governor to come to our school and sign a bill that’s so important to the three of us,” Luca, a 12-year-old at Mt. Tabor Middle School, told Gizmodo in an email. Luca, along with friends Lola, 13, and Athena, 13, testified before the Oregon House Committee on Rules in support of the bill, helping bring greater attention to it before the state’s lawmakers voted it through to Gov. Brown’s desk. The legislation, House Bill 4155, aims to help guarantee that Oregon residents get the net neutrality protections that the Federal Communications Commission killed in December of last year. Specifically, the Republican-led FCC voted to overturn the agency’s 2015 Open Internet Order, which forbade internet service providers from throttling or blocking legal online content or “paid prioritization,” better known as “fast lanes” for companies that pay to have their services delivered to customers at greater speeds. Oregon’s new law makes it illegal for the state’s public bodies to work with ISPs that take part in discriminatory activities such as paid prioritization and blocking content online. However, as Ars Technica points out, it is likely ISPs will sue to strike down Oregon’s new law, as companies like AT&T and Verizon had said they would do in response to other state efforts. The girls said that the passing of this bill marks an important step toward their ultimate goal, which is for the government to reinstate net neutrality on a federal level.